The former jump jockey won the Scottish Grand National on Hot Weld in 2007 but turned his attention to the Flat shortly afterwards. Since then he has achieved almost 500 victories on the level – his best year being in 2010 when he partnered 76 winners. 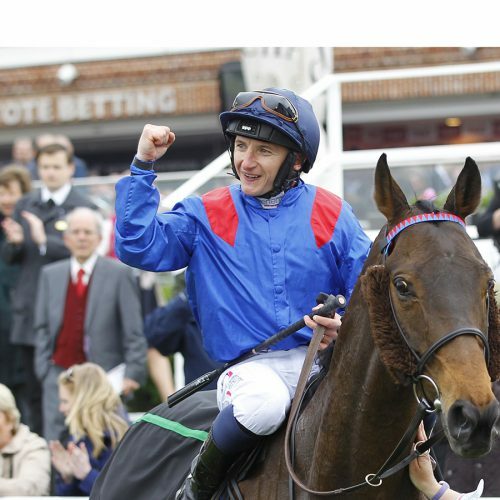 He enjoyed QIPCO Champions Series glory for the first time aboard Clever Cookie in the 2016 Betway Yorkshire Cup. He was making the most of a good opportunity as Daniel Tudhope was booked to ride, only to be injured in a fall 24 hours before. In 2017, he returned to York for more Series joy – landing the Weatherbys Hamilton Lonsdale Cup by a nose on the Andrew Balding-trained Montaly. And in 2018 he was runner-up aboard Laurens in the QIPCO 1000 Guineas.